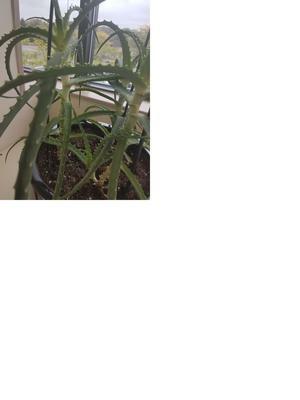 Identifying a Succulent - Aloe of some sort? The succulent in question has a fleshy stem from which the leaves project. The long narrow leaves have spiky margins and the leaves taper to points. The plants get rather large. 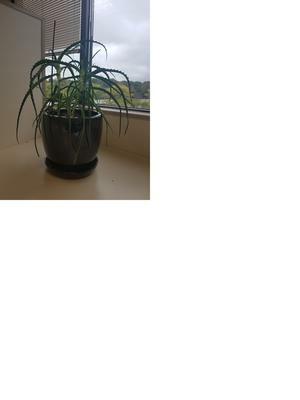 My plant is only a few years at most and is a foot tall, with many of the individual leaves being over a foot long. The plant sends up new shoots from the base. New leaves grow from the top of the stem. Comments for Identifying a Succulent - Aloe of some sort? Your pictures are tiny! The one closer up looks a lot like Aloe hechtia, which you can see on the page about Aloe Succulent Plants. The main characteristic is the toothed or spiky edges of the leaves, but these are generally not sharp. I did some additional research last night and think I figured it out. It appears to be Aloe arborescens.